This refreshing facial cleanser cools and soothes skin. Among other things cucumbers contains vitamin A, C and D. Its juices hydrates, reduces puffiness. Aloe Vera cleanses & softens. 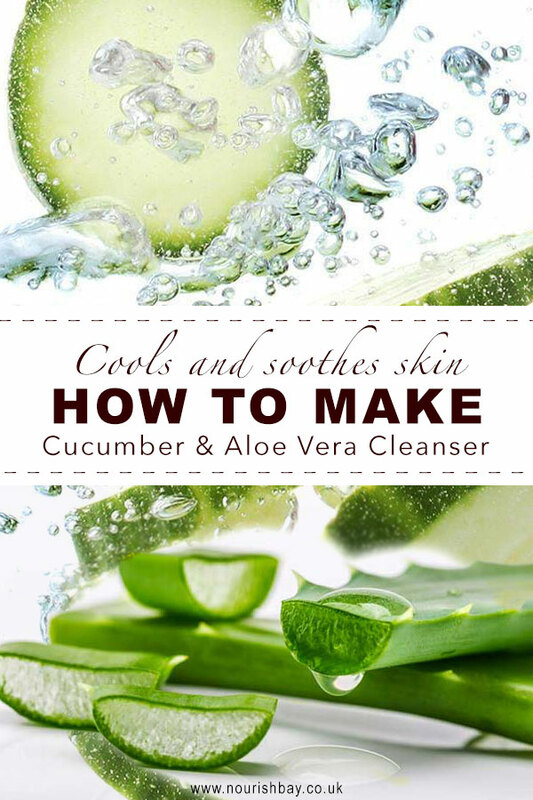 Blend cucumber and aloe vera into a juice pulp. Apply to pre washed face and leave for 20 mins and wash off with warm water. Alternatively use a muslin cloth to strain it into a oil free container. Give it a good squeeze to get all the goodness. Use a cotton pad to gently apply. Use upwards sweeps and sweep away from the eyes. Do not rub. As the pad gets dirty change and continue application. Leave on for 15-20 mins and gently rinse off.